Amazingly, although people are killed by police virtually every day in the United States, there is no government agency, no bureaucracy, and no database that counts them all. Nor is there any national prayer wall or shrine where images of the dead and their stories are collected in an effort to portray them as individuals. Last week, almost simultaneously, The Washington Post and The Guardian US unveiled large-scale journalistic projects that tried to supply a comprehensive, independent accounting of citizens killed by police since the beginning of this year. Same story, similar journalistic standards. So far, The Guardian story, with its interactive database linking to photos and stories of the dead, has come closest to filling the shameful gap. 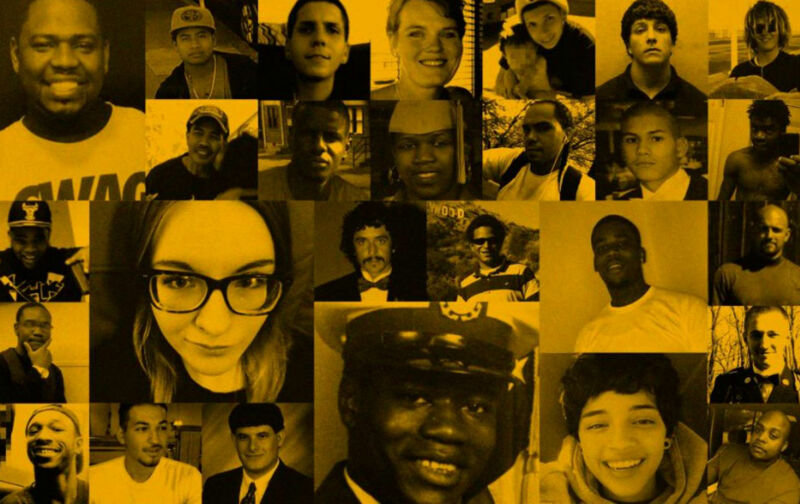 In what Lee Glendinning, the new editor of The Guardian US, called “the most comprehensive public accounting of deadly force in the US,” the site launched “The Counted,” an interactive database of those killed by police since January 1 that includes the names, locations, background, race, means of death—along with, when possible, photos and stories of the dead. Most Americans probably assume that some agency keeps track of the people who have been killed by police, but no such authoritative clearinghouse exists. There are partial counts by various bureaucracies, as well as by organizations like KilledByPolice.net and FatalEncounters.org, but none are complete. Of those 464 killed, 102 people were unarmed. Fourteen of the fatalities occurred while the victim was in custody, including the death of Freddie Gray in Baltimore. The analysis revealed five people killed by police whose names have not been publicly released before. It was probably the one-two punch of the Post and Guardian investigations that led to an uncharacteristically quick political response. Within 48 hours after the pieces appeared, senators Cory Booker and Barbara Boxer proposed a plan to “force all American law enforcement agencies to report killings by their officers” to the Department of Justice. The portraits, now archived online, were based on a phalanx of reporters’ interviews with families and friends of the dead, and gave more personal snapshots (like “Taking Care of Mozard: Maria Isabel Ramirez”) than either the Post or Guardian have the resources to muster today. The Guardian stories are presented almost Facebook-style in a photo mosaic of faces. You could find yourself, as I did, clicking on faces to see whether they fit or explode the stereotypes you might have of someone who would be killed by the cops, all the time overwhelmed at the scale of the problem. Beyond the database, The Guardian is running almost-daily features on how police violence affects various communities, including deaths of the mentally ill, women, Latinos, and the elderly (“about six elderly people a month,” it finds). By the way, that figure of 464 people killed by police in the first five months of 2015 has climbed, as of today, to 489.